Timorese voters are still waiting to see the shape of their new government following the last month’s parliamentary election. The poll put five political parties—including two new players—into parliament. The question is which of them will form a governing coalition. On 22 July, the voters of Timor-Leste went to the polls to elect their 65-seat parliament. 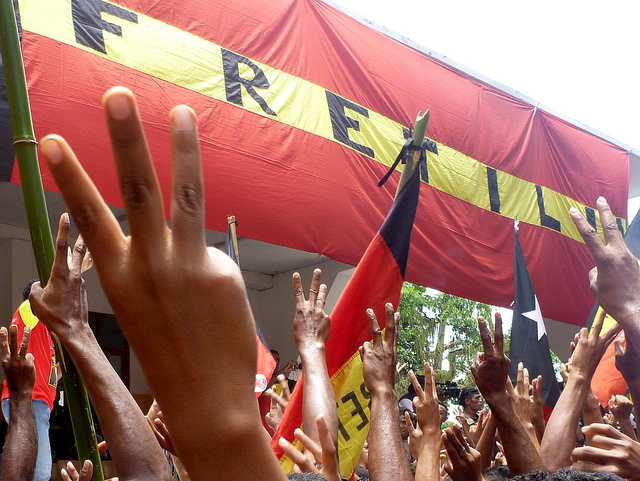 The results maintained the prominence of the Revolutionary Front for an Independent East Timor (FRETILIN) and National Congress for Timorese Reconstruction (CNRT). 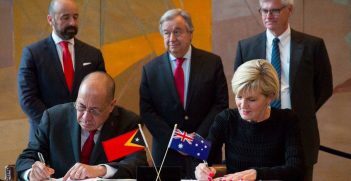 These two parties, alone or in coalition with other parties, have held government since 2002 when Timor-Leste finally became an internationally recognised state after its turbulent history of failed decolonisation and occupation by Indonesia. A third party, Democratic Party (PD), a coalition partner since 2007, retained a place in parliament. However, all three parties lost out in seat numbers to two new parties, People’s Liberation Party (PLP) and Kmanek Haburas Unidade Nasional Timor Oan (KHUNTO). A minor party from the last parliament, Frente Mudança, dropped out of sight. FRETILIN, the historical party formed in 1974 which identifies itself with the struggle for independence, won 23 seats, two down on the last parliament. CNRT, the party formed in 2007 as a platform for the iconic resistance leader, Xanana Gusmão, to move from the presidency to the prime ministership, took the biggest hit: 22 seats compared with 30 in the last parliament. PD, the party formed in 2001 by younger activists who spearheaded the student and youth resistance to Indonesian occupation, is down to seven seats, one less than in the previous parliament. The two new parties entering parliament, PLP and KHUNTO, won eight and five seats respectively. PLP was formed only months before the election. It is headed by the former President, Taur Matan Ruak, a trenchant critic of the last government’s expansive spending and mega infrastructure projects, and a staunch advocate of the needs of the country’s poor and of rural development. KHUNTO, which reportedly has martial arts group affiliations, fell just short of the minimum threshold to win any seats in 2012 but may have benefitted this time round from the growing cohort of voters under 30. With no party winning an absolute majority, the focus now is on how some or all of the five parties will come together to form government. Under Timor-Leste’s semi-presidential constitution, the prime minister is designated by the political party with the most votes or the alliance of political parties with a parliamentary majority. The president proceeds to appoint the prime minister after consulting with the political parties—in practice the senior officials of the parties—represented in the parliament. The prime minister in turn proposes all other members of the government, who are duly appointed by the president. Government formation in Timor-Leste has not always been plain sailing. In 2006, in the midst of a political and security crisis that saw the disintegration of elements of the security forces and massive street violence, killings and property destruction in the capital, President Gusmão demanded and got the resignation of FRETILIN Prime Minister Mari Alkitiri. Gusmão then resisted appointing a successor until he was presented with a slate of three names including that of the non-partisan Jose Ramos-Horta, whom he appointed. In the 2007 election, FRETILIN won the largest single vote share, but not a majority. As soon as the results were known, CNRT moved swiftly to stitch together a majority coalition and after some weeks of deliberation the new president appointed Gusmão, the head of CNRT, to the prime ministership. While FRETILIN consistently maintained that the government was unconstitutional, it worked as a constructive opposition in parliament over the next five years. In 2012, CNRT won the largest vote share but not a majority, and again formed government at the head of a coalition. While the CNRT party congress uncompromisingly rejected the prospect of partnering with FRETILIN, the leaders of the two parties were soon working together behind the scenes. Starting in 2013, all national budgets have been passed unanimously by the parliament. When Prime Minister Gusmão stepped down in 2015, to the consternation of his coalition partners and the surprise of pundits he anointed a FRETILIN member to succeed him. The resulting government has been described by Timor-Leste’s political leaders as a form of consensus or inclusive democracy that is more appropriate for countries emerging from conflict. This assessment is not universally embraced. 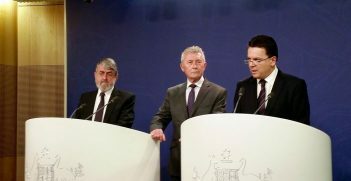 Commentators have reflected on the license given to governments when there is no parliamentary opposition to hold them accountable for their performance. Towards the end of his presidential term, Taur Matan Ruak described himself as the de facto opposition that was missing from parliament. This theme has been taken up more widely by analysts and governments. The head of the team from the European Parliament observing the 22 July election reflected in her statement on “the importance of an effective opposition in the national parliament. 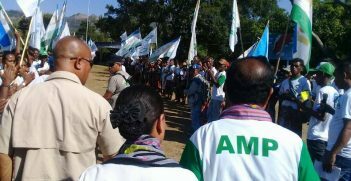 The quality of democracy in Timor-Leste, as elsewhere, depends on the performance of the opposition, as much as on the functioning of the government”. Just how the parties will line up following the recent election is far from clear. Local media reports have alluded variously to the prospects of a formal coalition between the two major parties, to Gusmão being coaxed away from CNRT if the party does not want to join a coalition with FRETILIN, and to support from various quarters for a government of inclusion. Two of the three minor parties – PD and KHUNTO – are signalling a willingness to join a larger coalition. On early indications, PLP is more likely to opt for the opposition benches. This fits with its independent policy stance, and its leader’s alertness to the importance of an opposition voice to hold government to account. As a small opposition to an experienced and well-resourced executive, it would have its work cut out. Sue Ingram has worked as a senior executive in the Australian government, in UN and regional peacekeeping and as a consultant in post-conflict state-building. She recently completed a PhD thesis on post-conflict political settlements in Timor-Leste and Bougainville.